Kier's Chief Executive, Haydn Mursell. Kier has today announced its intention to acquire infrastructure consultancy, Mouchel, in a £265m cash deal. Following months of negotiations, Kier has now entered into a conditional agreement with the deal expected to be finalised in June, subject to the approval of shareholders. Kier has said that the takeover of Mouchel will be financed by a £340m fully written rights issue. The acquisition will combine Kier’s £6.5bn order book with Mouchel’s £2.8bn, creating a new and enlarged order book of £9.3bn. Mouchel was previously taken over by its lending banks in 2012 after falling into administration and delisting from the stock exchange. As a result, its shareholders got just a penny a share at the time. Since then, the company has turned its fortunes around, growing its operating profit to £27.7m in the financial year ended September 2014. Now, under the new rights issue, shares will be issued at 858p per new share on the basis of 5 new shares for every 7 existing shares. Haydn Mursell, Kier’s Chief Executive, said: “Over the last three years, Mouchel has been transformed into a strong business with market leading positions. 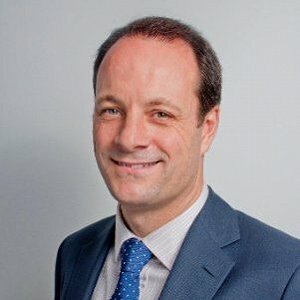 Mouchel’s Chief Executive, Grant Rumbles, will leave upon completion of the acquisition and Mursell will become the CEO of the expanded group. Commenting on the deal, Rumbles said: “Kier and Mouchel are an excellent fit. The enlarged company will enable us to improve out offer to customers and to enhance the career opportunities of our employees. “This deal is testimony to the successful turnaround of Mouchel following its 2012 restructuring. Refocusing the business on its core strengths and targeting profitable growth has brought us to a position where our order book is now more than £2.8bn. For that I thank my excellent management team and all of our staff for their hard work and determination over the last few years. The deal will be Kier’s second largest acquisition in recent years following the £221m May Gurney acquisition in July 2013.